Turn screen time into a super-powered learning experience with a new generation of coding toys. Your child will learn programming skills as they play, as well as the basics of computational thinking (and hopefully how to fix your IT problems, too!). We asked programmer and tech-expert Claire Wardle to put some coding toys to the test with the help of her three sons. Our tester says: The initial build and set-up are fairly complicated and will definitely be best suited to a child-and-parent team. The free app (on Apple and Android devices) makes it easy to code actions and play back recordings and the "cute" factor of having a robot friend cannot be underestimated! 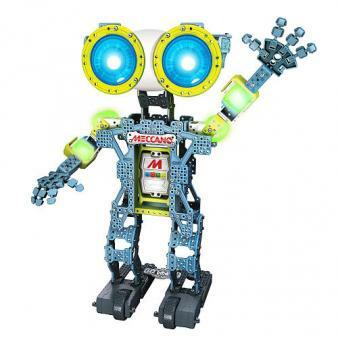 The G15Ks version of Meccanoid has been purchased by some PTAs in the UK for use in schools as a way to bring the new computing curriculum to life, and it definitely makes computational thinking more accessible and easy to understand as you can see immediately if you are programming correctly. A hands-on science and computing set designed for primary schools, WeDo 2.0 combines bricks, software and a specific list of projects based on National Curriculum science objectives for KS2. 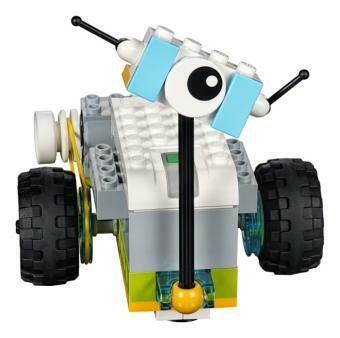 The aim is to build and program a LEGO robot and use it to investigate physics questions as part of predesigned activities. The set includes all the bricks needed to build each robot, as well as a battery pack that communicates with your device through Bluetooth and an app, free to download for iPad, Android, PCs and Macs. Our tester says: A brilliant, works-straight-from-the-box way to get your child to engage with scientific principles and computational thinking. My nine-year-old loved the step-by-step building instructions on the iPad and the explanatory videos. The drag-and-drop programming interface is very intuitive and instant, real results (Milo the robot moves and "speaks" and shows different colours) kept him engaged for hours trying different coding sequences. While this set is designed for use in the classroom (there are easy ways to document your project findings with videos, photos and text, for example), it was a big hit for use on the kitchen table, too, and will be easy to expand on by adding in more bricks and items from our general LEGO collection. Build your own handheld games console and learn to code your own games with this LED matrix display gadget. There are pre-loaded games to play, or use open-source Arduino software to create your own versions of Tetris or Pacman (the extensive online tutorials guide you through writing the code). Our tester says: This is aimed at kids 10+ who have a real interest in programming. You do need an adult who's pretty confident with technology to help with the initial set up, but after that my son really enjoyed writing proper code (not drag-and-drop programming blocks) to design games and the YouTube how-to videos were excellent (and funny). A good investment choice for keen coders! 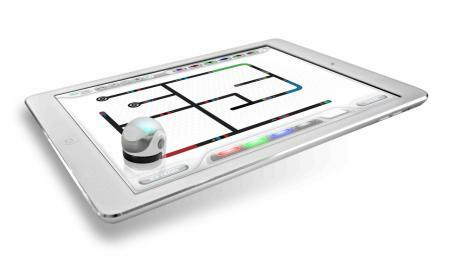 Ozobot is a small computer that can be programmed to move, play and dance by reading color code patterns. A great way for young children to begin to understand code sequence and logical behaviour is the drawing mode: use plain white paper and felt-tips to draw lines and coloured patterns for the Ozobot to follow. Over time you can create mazes or race tracks, or code sequences instead with free apps for iOS or Android. Available to buy from the USA. Our tester says: My younger boys were really taken with the Ozobot and enjoyed drawing coloured paths for it to follow on paper (you can also write code for it). We also downloaded the OzoGroove app to make the Ozobot dance on an iPad; it comes with built-in demo moves or you can create your own dance moves with the app’s PRO editor option. A good option for whole-family play, though the apps are more suited to older users. 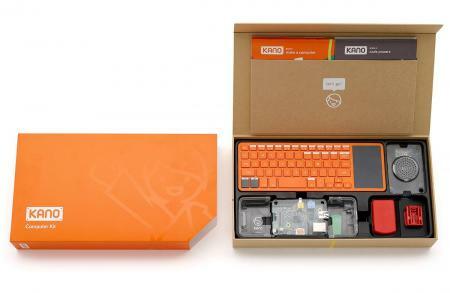 Make your own computer with Kano, a computer and coding system powered by the Raspberry Pi that aims to make computing as simple as Lego. And succeeds! This is the perfect choice for young programmers, especially if you're not technologically minded yourself. Simply plug into a screen and and play (and learn). Our tester says: This is a beautiful set – really well thought out, with very clear instructions and a very high-spec keyboard. Both my ten-year-old son and I fell in love with it! The SD card comes preloaded with the operating system and from the moment you turn it on you follow simple step-by-step instructions to get started. The built-in apps are a very effective way to learn how to program; my son loved Snake and Pong and also worked on some Minecraft projects, but you can also use the music app to make music. Setting up a child-safe account is simple. Very impressive! 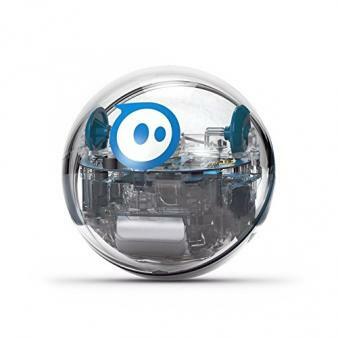 Sphero SPRK+ is an app-controlled robot. Linked to a tablet or smartphone, it's waterproof and pet-proof and offers 150 hands-on learning activities. The Lightning Lab™ app teaches kids how to create easy programs and macros by arranging simple commands to make Sphero follow unique patterns; programmable sensors and sounds make kids' code come to life. Our tester says: A very good basic programming tool. My eldest son liked using the visual, block-based programming to code specific actions (you can also select a text-based code viewer to find out more about the C-based code language used) and the younger two just drove it around the house endlessly! There's loads of downloadable content, from games to augmented reality, so it's very adaptable for different ages and interests; you can also use it for tabletop games and as a game controller. You can also buy a Sphero Chariot to design your own Sphero-powered vehicle with the addition of some building blocks. 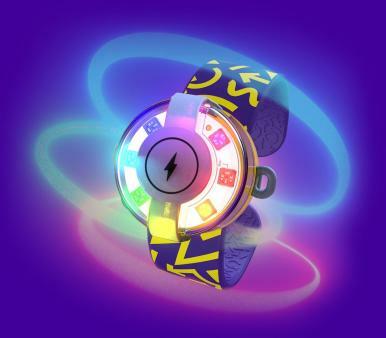 A toy that kids can code themselves, with movement sensors and rainbow lights. The lanyard and snap band, included, mean it can be worn any way they like, and the drag-and-drop block programming makes it easy to experiment with different actions and reactions. It works straight out of the box (hurrah!) and offers a simple introduction to hands-on coding. Our tester says: A blank canvas option that kids can design their own fun with. Could they liven up teeth-brushing or use the movement sensors and lights to write the rules of an obstacle contest in the park? Best for eager experimenters and game designers; if your child prefers to follow step-by-step instructions it's probably not for them. A brilliant starter coding set that makes basic programming immediately accessible to children aged 5-12. Using the colourful tangible blocks the child controls a character called Awbie, guiding him on a tree-shaking, strawberry-munching adventure! Two or more kids can assemble sequences and play together. Our tester says: A great design which really engages children. 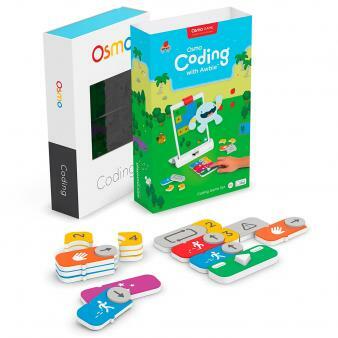 Osmo Coding is an add-on set to the main Osmo set (£69.99, comes with four games) and only works with iPads, so you'll need to have invested in this tablet system already. Dash is a real robot with a real personality, and our testers warmed to their "CleverBot" immediately. The easy set up means it can be played with in minutes, and different apps are available to teach kids the basics of programming without a textbook in sight. The set is designed to offer new challenges as a child grows: five- to seven-year-olds will, instinctively, be able to "drive" Dash and make him make (up to 500!) sounds, learning more about sequencing and instructions. For older children there are harder coding challenges to complete, presented in engaging step-by-step mini lessons, and block programming to practise in the Blockly app (there are some educator videos to help adults get to grips with Dash online). Extra accessories like a Launcher, a Xylophone and even some robot dressing up are available too. Our tester says: The Dash software really makes it stand out from the competition – it's appealing visually, and the kids understood it amazingly quickly, both the seven-year-old using the app on an iPad as a Dash remote controller to make him light up, speak and move, and the 11-year-old writing Scroll Quest code challenges and unlocking secret videos in their Inventor's Log (we all loved the Dash cartoons). 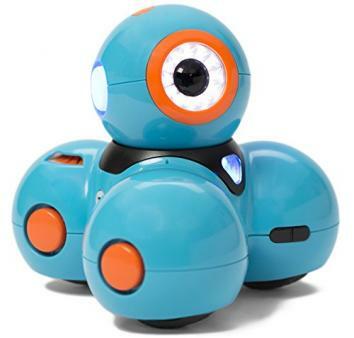 Dash is an excellent robot choice if you have different-aged children: the younger ones will love the fact he can be instructed to burp, dance, act dizzy and say hi and the older and more tech-savvy ones can construct obstacle courses to program him round and download other kids' projects in the WonderCloud.